Q: How do I know if I have Bed Bugs? Q: If I have Bed Bugs, what should I do? 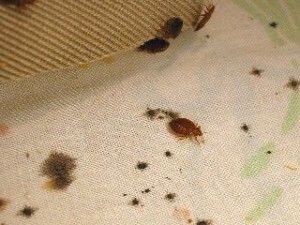 Q:What Happens if my Bed Bugs come back after treatment? Q:Should I throw away my Mattress or Bed? Q: Will my Bed Bugs go away if I sleep somewhere else? Q: What can I do about Bed Bugs in my clothing and bedding? Q: How did I get a Bed Bug Infestation? Q: Should I put my things into Plastic Bags? Q: Can I catch anything from Bed Bugs? Q: Where do Bed Bugs Live? Q: What is Bed Bug Diapause? Q: Doesn’t Everyone have Bed Bugs? If you have a bed bug problem you have come to the right place. Bed Bugs London, we here to help!